The Woolsey Fire began on November 8 at the Santa Susana Field Laboratory (SSFL), located adjacent to Simi Valley, California, and enveloped much of the lab’s grounds, eventually burning all the way to Malibu and the Pacific Ocean, impacting nearly 100,000 acres. 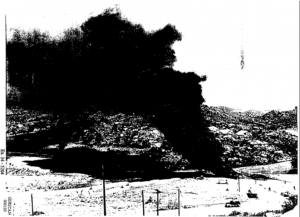 Because of widespread radioactive and toxic chemical contamination at the Santa Susana site from several nuclear reactor accidents, including a partial meltdown, and tens of thousands of rocket engine tests, the public had reason to be concerned that smoke from the fire carried contamination offsite. In the wake of the fire, the California Department of Toxic Substances Control (DTSC) and the US Energy Department—both of which have been involved in long delays to the promised cleanup of the Santa Susana site—issued assurances that no radioactive or toxic chemical contamination had been released. At that time, however, the agencies refused to release any actual data or scientific explanation of how hundreds of acres of contaminated vegetation, growing in contaminated soil, could burn without releasing contaminants. Nearly six weeks after the fire—and after numerous requests from the community, news media, and legislators—the DTSC finally issued an “interim summary” report about the measurements that formed the basis for the claims that no contamination was released by the fire. But that report includes few actual measurements of smoke emitted by the fire, and the data that are in the report raise more concerns than they allay. A history of poor environmental practices. 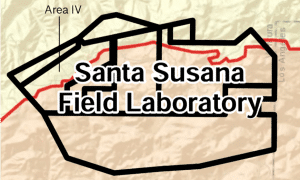 The Santa Susana Field Laboratory was established in the 1940s as a remote facility for rocket engine and nuclear reactor testing that was considered too dangerous to conduct in populated areas. It is situated in the hills overlooking Simi Valley and the west San Fernando Valley, about 25 miles from downtown Los Angeles. Since the lab was established, the population in the Los Angeles area mushroomed, and now about 500,000 people live within 10 miles of the site. Over the years, 10 reactors operated at Santa Susana, as well as plutonium and uranium fuel fabrication facilities and a “hot lab” where highly irradiated fuel from around the US nuclear complex was shipped for decladding and examination. Tens of thousands of rocket engine tests were also conducted at the site. During the lab’s life, numerous reactor accidents occurred, the most famous of which was the 1959 partial meltdown of the Sodium Reactor Experiment. After a power excursion—that is, an undesired and rapid increase in power level—in the reactor core, operators were barely able to shut it down. 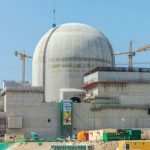 Although they could not identify the cause of the problem, the reactor was inexplicably started up again and ran for 10 more days, in the face of rising radiation levels and clear indications of fuel damage. When the reactor was finally shut down, a third of the fuel elements were found to have experienced melting. Like all the reactors at the Santa Susana site, the Sodium Reactor Experiment had no containment structure. During and after the accident, radioactive gases were pumped from the reactor into the atmosphere. 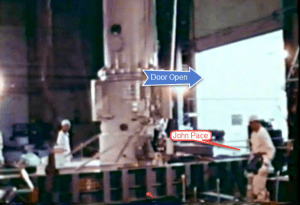 Even so, leakage into the reactor room was so severe that the building’s loading doors were opened to vent the contamination outside, according to John Pace, one of the workers at the time. 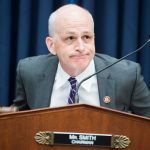 The Atomic Energy Commission and its contractor, then known as Atomics International, were not forthcoming with the public about what had happened. 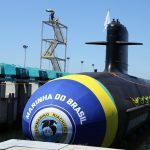 Five weeks after the accident, a news release was finally issued stating merely that “a parted fuel element” had been observed, that there were no indications of unsafe operating conditions, and that there had been no releases of radioactivity. But in fact the fuel had melted, not simply parted; a third of the fuel elements were affected, not merely one; it was one of the worst nuclear accidents to date; and workers had been intentionally venting radioactivity into the atmosphere for weeks when the news release was issued. This history—of cutting safety corners and being less than candid about the result—has long plagued not just the Santa Susana lab but the entire nuclear complex managed initially by the Atomic Energy Commission and subsequently by the Energy Department. That history contributed to public mistrust of agency claims of safety during and after the recent fire. Over the years, at least three other Santa Susana reactors experienced accidents involving radiation releases and/or significant fuel damage. As was the case throughout the nuclear complex and at many Defense Department sites, Santa Susana environmental practices were extremely poor. Radioactive and chemical wastes were routinely burned in open-air pits; often, barrels of waste were ignited by rifle fire, plumes of toxic smoke then traveling far beyond the site. Through much of the Santa Susana site’s history, toxic waste was regularly burned in open-air pits. Photo credit: California Department of Toxics Substances Control, Santa Susana Field Laboratory, Historical Documents Index, Area I Burn-Pit. A million gallons of trichlorethylene, a carcinogenic solvent, was used to flush rocket engines after tests and allowed then to percolate into the ground and groundwater. A witches’ brew of dozens of other toxic chemicals, including polychlorinated biphenyls (PCBs), dioxins, heavy metals, volatile organic compounds (VOCs) and semi-volatile organic compounds (SVOCs), polycyclic aromatic hydrocarbons, and perchlorate has contaminated soil, groundwater, and surface water. A $40 million, multi-year radiation survey by the Environmental Protection Agency found hundreds of Santa Susana locations contaminated with radionuclides, including strontium 90, cesium 137, and plutonium 239. 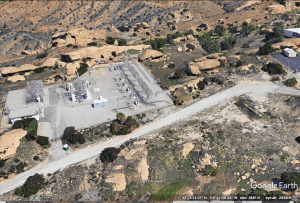 Because the Santa Susana lab property is located in the hills overlooking populated areas, decades of stormwater runoff and wind have carried contamination offsite. A study led by UCLA’s Professor Yoram Cohen and funded by the Agency for Toxic Substances and Disease Registry found contaminants had migrated to offsite populated areas at levels in excess of EPA levels of concern. A second study, funded by the same agency and led by University of Michigan epidemiologist Hal Morgenstern, found a greater than 60 percent increase in the incidence of certain cancers in the offsite population living within two miles of the Santa Susana lab, as compared with people living five miles away. An earlier study by the UCLA School of Public Health found significant elevated death rates for key cancers among the workers, associated with their radiation and toxic chemical exposures. A history of manipulated measurements. In 1989, the EPA sent a radiation specialist, Gregg Dempsey, to review the radiation-monitoring program run at the Santa Susana site by an Energy Department contractor, Rockwell International/Rocketdyne. (Since then, the Boeing Company acquired these Rocketdyne operations.) What Dempsey found was shocking. He discovered “that problems exist within this laboratory that cause me to question the validity of some, if not all, of their environmental data.” He found, for example, that Rocketdyne employees involved in radiation monitoring were heating soil samples to a temperature “sufficient to volatilize most man-made radionuclides of concern, including cesium 137 and strontium 90”—in other words, driving off the very radionuclides they should have been measuring. They were doing the same thing with vegetation samples, and in addition, they were washing the vegetation, meaning contaminants were rinsed from the samples before measurements were taken. He subsequently determined that the contractors had for years been filtering water samples before measuring—in other words, removing many of the contaminants from the water sample before checking the sample for them. The Energy Department subsequently sent in a team that identified a long list of other deficiencies at the site. An Energy Department contractor performed an evaluation; his report found widespread chemical and radioactive contamination. These revelations severely called into question the decades of official assurances of safety at the Santa Susana site. 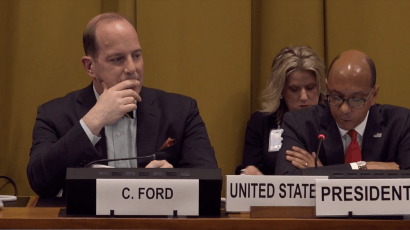 Community leaders and elected officials pushed for independent measurements, which the Energy Department kept promising to allow but kept resisting. For decades, the regulators of the Santa Susana Field Laboratory were at best asleep at the switch. The site wouldn’t have been contaminated had the Energy Department, NASA, and Rocketdyne (under successive ownership of North American Aviation, Rockwell International, and now Boeing) operated the facility with care. The contamination also wouldn’t have occurred had the regulators actually regulated. The Department of Toxic Substances Control (DTSC), long viewed as a classic example of regulatory capture, has been the subject of numerous legislative and media investigations, not just for the Santa Susana fiasco but at many other sites statewide. It has been criticized as viewing the regulated entities, the polluters, as its clients, and the public as its enemy. 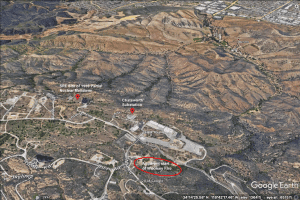 In short, Santa Susana Field Lab has a history of sloppy environmental practices, failed regulation, widespread contamination, and a consistent failure of candor on the part of regulators and the regulated. Cleanup agreements, made and broken. After decades of foot-dragging and evasion, in 2010 a breakthrough occurred. A courageous Secretary of the California Environmental Protection Agency (CalEPA), Linda Adams, concluded that DTSC, a department of CalEPA, was so thoroughly captured by the parties responsible for Santa Susana contamination that she needed to take control of the cleanup herself. In response, Energy Secretary Steven Chu and Assistant Secretary Inés Triay proposed to break through the years of impasse by agreeing to clean up radioactivity and toxic chemicals on the Energy Department’s portion of the Santa Susana site to background levels. In other words, with very narrow exceptions, any detectible contamination that the Energy Department had added would be remediated. 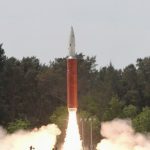 Adams then negotiated an identical agreement with NASA (which had taken responsibility for the contamination from rocket testing that it and the Defense Department conducted at Santa Susana). The Energy Department and NASA executed legally-binding agreements with California in December 2010. Boeing, which by now had taken over Rocketdyne and therefore controlled the remaining portions of the Santa Susana site, refused to sign a similar consent order, but the state formally found that it would require a comparable cleanup of the Boeing portion of the site. A deadline for the cleanup of all parts of the Santa Susana Field Laboratory was set: 2017. The community was overjoyed. Of the thousands of comments submitted on the draft consent orders, all but a handful were strongly supportive. It now seemed as though the decades of contamination would finally be removed. The following month, a new California governor took office. 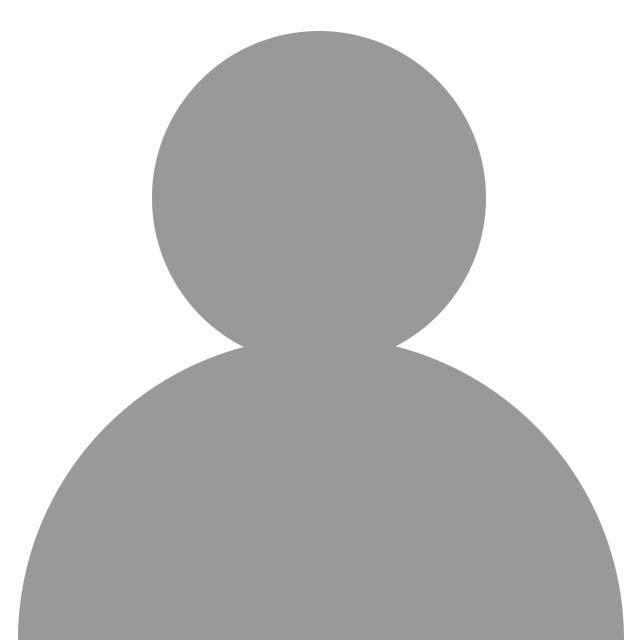 A new secretary of CalEPA was named, and the Department of Toxic Substances Control was back in charge. 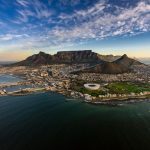 The 2017 cleanup deadline came and went; not only was cleanup not completed; as of today, it hasn’t even begun. 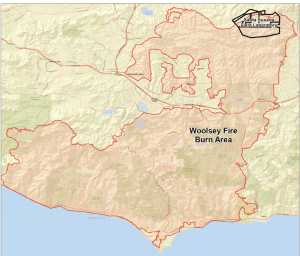 The Woolsey Fire: False and misleading claims. In the wake of the Woolsey fire, public officials and the news media have spread a variety of untruthful information. First, initial press reports said the fire began “near” the Santa Susana site. Actually, the fire began at the site. A TV news helicopter reporter took footage of the fire as it began (see below). Utilizing Google Earth, one was able to locate the spot, in NASA’s Area II, very close to Boeing’s Area III and DOE’s Area IV. The fire appears to have started about 1,000 yards from the site of the partial meltdown of the Sodium Reactor Experiment. Southern California Edison notified its regulator, the California Public Utilities Commission, that a circuit out of its Chatsworth substation “relayed” two minutes before the fire was reported nearby. (A relay is initiated when a disturbance is detected in the system.) Because Edison did not disclose the substation’s location, the media and public likely assumed it was in the town of Chatsworth, some distance from Santa Susana. 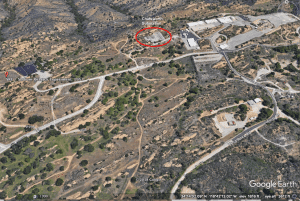 The Chatsworth substation is in fact located on the Santa Susana site, indeed very close to where the fire began, and to the Sodium Reactor Experiment. The substation was built in part to serve the nearby reactor. Within a few hours of the start of the Woolsey Fire, and without being able to be on site or take any measurements, the DTSC issued a statement boldly asserting that its scientists had determined the fire had not affected any potentially contaminated portions of the site and thus there was no risk of releases. But it turns out that 80 percent of the Santa Susana site burned in the Woolsey Fire, the Energy Department’s project manager for the site, John Jones, was quoted as saying by a local newspaper. The burned areas included large portions that had documented, widespread contamination. The DTSC has now indirectly conceded that much of the Santa Susana site was in the burn area, including in its December 19 interim summary report the following map. Similarly, the Energy Department issued a statement on November 13 saying none of its area had burned. However, subsequent satellite photography showed that to be false, that indeed parts of its area had burned, along with much of the rest of the site. This is shown also in the new DTSC map above. The prior statement having been demonstrated to be false, the Energy Department issued a later release (November 21) acknowledging that parts of its area had indeed burned. In the days after the fire, the DTSC and the Los Angeles County Health Department issued statements that their measurements had found no radioactive or toxic chemical contamination either at Santa Susana or offsite. But they refused to release data backing those claims, or scientific explanation of how hundreds of acres of contaminated vegetation growing in contaminated soil could burn and not release contaminants. Finally, on December 19, roughly six weeks after the fire and just before Christmas, the DTSC issued an “interim summary report” purporting to provide the missing data. That report actually provides very little data and raises more questions than it answers. 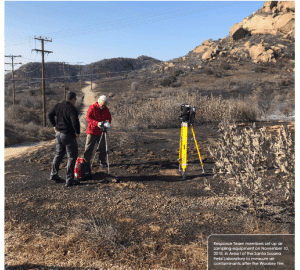 amply demonstrated by the photo on the cover of the DTSC report, which shows air sampling equipment being set up on burned ground—two days after the fire at the Santa Susana site ended, when no potentially contaminated smoke was being released. None of the DTSC samples was tested for radioactivity. No measurements were taken for the majority of toxic chemicals known to contaminate the Santa Susana site. The measurements of soil and ash samples were not compared to background or to pre-fire levels, which would have helped indicate whether the fire added contamination to those locations. Nor were they compared to the department’s own official cleanup standards for the Santa Susana site. Instead, the department compared the measurements to standards hundreds of times more lax than the state’s own risk-based screening levels. Even so, toxic chemical contamination was found in some samples; in those cases, the state tried to dismiss its own findings. Hand-held equipment was used for some minimal radiation and chemical scans, but the equipment did not have the capability to measure contaminants at the levels requiring cleanup. Even so, some direct readings in offsite areas showed radiation at about three times background levels. The department discounted those findings, saying they did not rise above the department’s “action levels”—which are more than 100 times higher than the upper limit of what EPA deems protective and 10,000 times higher than the EPA’s risk goal. Most troubling, the Department of Toxic Substances Control—and the other agencies—assert that none of their measurements for radioactivity or toxic chemicals found any contamination whatsoever at Santa Susana site. This is extraordinary. State and federal agencies have long admitted that the site contains widespread contamination; that’s the whole reason for the required cleanup. EPA spent $40 million and several years testing part of the site and found hundreds of locations with elevated radioactivity. Other agencies spent tens of millions of dollars, finding thousands of locations at the Santa Susana Field Laboratory with chemical contamination. For state and federal agencies now to assert they couldn’t detect contamination at Santa Susana leads to one of two conclusions, both troubling. Either their equipment was too insensitive to detect contamination that is there, and thus their conclusions are worthless; or the fire drove off all the contamination at Santa Susana into surrounding communities. Clearly, the latter scenario is highly unlikely. Because of widespread public distrust of state and federal agencies and the other parties responsible for the pollution at the Santa Susana, a community-initiated study is now underway. Soil and ash samples are being collected from homes to be sent for analysis; results are some months away. It must be recognized that these measurements, taken long after the fire, will have significant limitations as well. The speculative and non-credible have now happened. A fire burned through most of the Santa Susana Field Laboratory, a site contaminated with radioactivity and toxic chemicals allowed by decades of shoddy environmental controls. 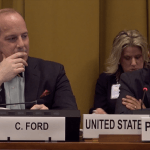 The Department of Toxic Substance Control’s current claims continue a pattern of trying to cover the agency’s failures. 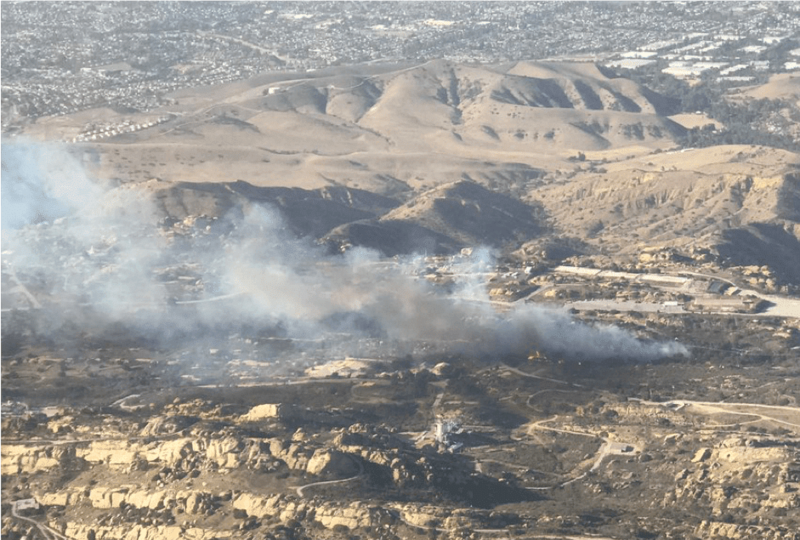 It is perhaps not entirely coincidental that the department issued its report claiming there were no dangerous releases from the fire on the same day that the Energy Department issued its Final Environmental Impact Statement for a cleanup of the Santa Susana site. That final statement broke the legally binding remediation agreement the Energy Department had signed with the state and calls instead to leave 98 percent of the site’s contaminated soil not cleaned up. The Woolsey Fire is history. The solution going forward is to finally get the Santa Susana site fully cleaned up, and to get the agencies responsible for the contamination and the failure to clean it up fundamentally reformed, as well. Amazing story, and quite horrifying. The extent of “regulatory capture” is clearly an important issue, and is similar to what happened before the “Deepwater Horizon” blow-out, where subsequent investigation found that the relevant Federal agency was being guided by the oil industry. Here in Ireland, we have just commemorated an oil terminal disaster 40 years ago, in which 50 people died, because the shipowner and the terminal operator (Gulf Oil) had dismantled or failed to maintain certain essential safety features, while there was no regulatory authority to enforce standards or conditions. Thank you for providing such a detailed account. Daniel Hirsch: It’s been a long time since we’ve had direct contact. Thanks for excellent article. Your final sentence describes the situation at Rocky Flats very well. It’s like a national disease. Brilliant article. Constant grief over the ridiculous governmental denial. Why not start now and argue the specifics later? DO SOMETHING. This beautiful state deserved so much better.